Apartment For Peggy – When a young couple move into the attic apartment of an older college professor, they are able to dissuade him from suicide and reinvest him in life. Professor Henry Barnes decides he’s lived long enough and contemplates suicide. His attitude is changed by Peggy Taylor, a chipper young mother-to-be who charms him into renting out his attic as an apartment for her and her husband Jason, a former GI struggling to finish college. 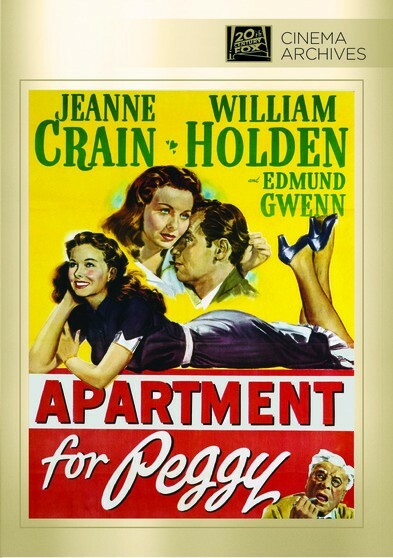 Starring: Jeanne Crain, William Holden, Edmund Gwenn. 1948 – COLOR – 96 Minutes.